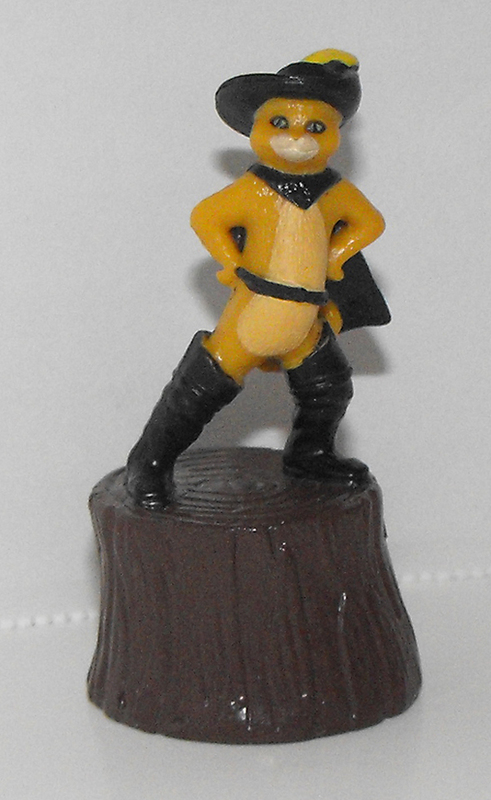 Puss in Boots on Stump Small 2 inch Plastic Figurine from the Shrek Movies. Brand new, never used or played with. Brand new, never used or played with. Comes loose without any packaging or tag. All photos are stock photos and may not be a photo of the actual item you will get - but the picture represents the exact same style and size of figure that you will receive.